ColoradoView has some really great downloadable PDFs and HTML files that take users step-by-step through essential remote sensing and GIS functions including downloading free Landsat data from the USGS GLOVIS website, creating multiple scene mosaics, clipping mosaics to a defined study extent, applying Maxent modeling and more! 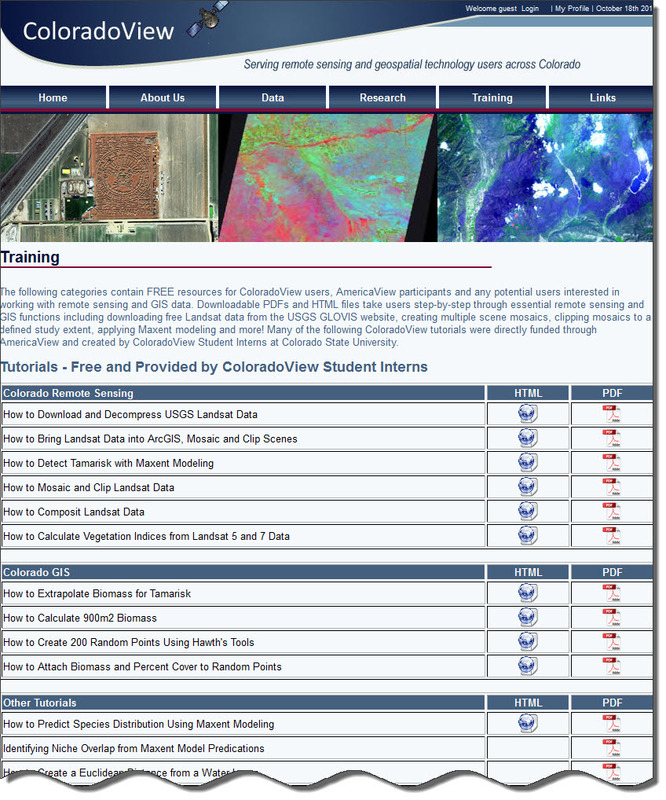 Many of the following ColoradoView tutorials were directly funded through AmericaView and created by ColoradoView Student Interns at Colorado State University. Head on over to the ColoradoView Training page!